Tickets and new program out now! Welcome to Sweden’s biggest celebration of all things equestrian! Competition, show and fair. Over four days and ten different events you can experience the best that the equestrian world has to offer. The best riders in the world will be here at the Friends Arena to compete in prestigious categories within showjumping, dressage, driving and indoor eventing. The riders will also be taking part in many different show categories ranging from tractor-driving to switching disciplines with one another. There will be fantastic show numbers from major international show artists, including freestyle dressage. Each evening will conclude with a delightful festive finale featuring a huge variety of different horses and Christmas characters. We will be celebrating our 25th anniversary this year, so come and join the celebration! Looking for some retail therapy? 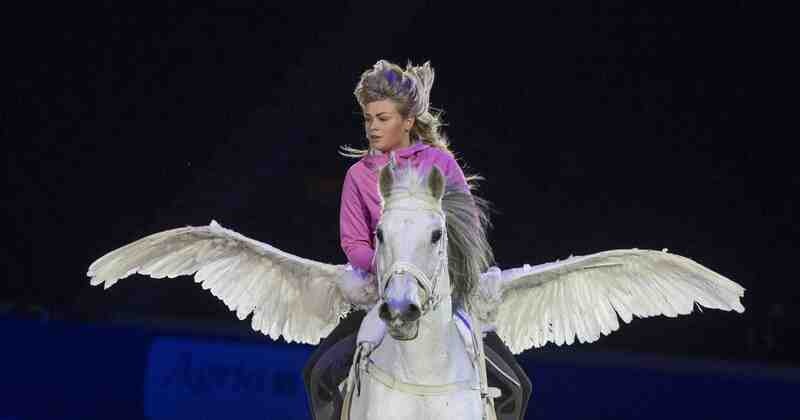 One of Sweden’s biggest equestrian sports fairs will be taking place at the Friends Arena. Christmas gifts and equipment for all ages. And don’t miss our Stable Yard zone, where many of Sweden’s varied breeds will be performing throughout the weekend in the show paddock. In addition to horses to pet, the Stable Yard will also be home to a multitude of other animals, everything from camels to hamsters. The fair is open throughout the day to anyone with a ticket for that day’s event.